Preheat oven to 350 degrees. Spray a large baking dish with cooking spray and set aside. Meanwhile, spray a large skillet with cooking spray. Sautee the onions, garlic and mushrooms in 1/2 cup water, stirring occasionally until the water is completely evaporated. Remove onions and mushrooms from pan and place in a medium bowl. If using frozen green beans, thaw the green beans in the microwave for 5-10 minutes or until thawed. (If using fresh, steam green beans, snip off the ends and place beans in a large pot of boiling water for about five minutes or until tender and drain). Add green beans to the bowl with the mushrooms and onions. Let cool to room temperature before adding sauce mixture. In a small bowl, mix ingredients together to make the sauce. Add sauce to the green beans and toss until everything is well coated. Add everything to prepared baking dish. Mix topping in a small bowl and sprinkle evenly over the top. Bake (uncovered) 35-40 min or until topping is golden brown. Serve warm. This dialogue should result in the completion of Medical Orders for Life-Sustaining Treatment (MOLST) forms. The MOLST order, a medical order made by a physician or nurse practitioner, complements the Advance Directive, a legal document, which provides general guidance on patients’ wishes and allows them to name a healthcare agent. MOLST forms cover, in detail, wishes regarding everything from CPR and artificial ventilation to blood transfusion, antibiotic use and artificially administered fluids and nutrition. Patients and their physicians should review and update the document periodically. If a MOLST form is on record, it will be treated as a medical order and will be followed accordingly, even if a patient is unable to speak for him or herself. Gilchrist Hospice Care now offers an Advance Care Planning Series, led by W. Anthony Riley, MD, for individuals interested in learning more. The discussions are held the second Tuesday of every month, and include topics such as general, cardiac, pulmonary, and neurodegenerative conditions and dementia advance care planning. For more information about the Advance Care Planning Series or to register for a discussion, please visit gilchristhospice.org/advancecareseries or contact Nicole Conradi, GHC Program Management Specialist, at 443-849-8205 or nconradi@gilchristhospice.org. November is National Epilepsy Awareness Month. Epilepsy is a neurological disorder in which a person has repeated seizures. Seizures are episodes of disturbed brain activity that cause abnormal mental and physical functions, which are commonly manifested in the form of convulsions or shaking. These can last seconds to minutes or, in some rare cases, hours and days, but they typically have duration of less than five minutes. According to the Epilepsy Foundation, a person is considered to have epilepsy after having two or more unprovoked seizures. Stay calm and encourage others around you not to panic. Contrary to what may be intuitive, it is important that you do not attempt to stop the person’s movements or try to hold him or her down in any way. Clear the surroundings of sharp objects, furniture or anything that could hurt the person. Do not put anything in the person’s mouth. Loosen any ties or necklaces on the person’s body. They may make it difficult to breathe during a seizure. Gently turn the person to one side, if possible, to ensure that his or her airway is open. Pay attention to what the person’s seizure looked like and keep track of how long the seizure lasts – this is important for communicating with medical personnel. Stay with the person until the seizure ends and help him or her to remain calm immediately afterwards. Confusion is a common symptom following a seizure. If you think you have been having seizures, it is important to talk to your doctor as soon as possible. Try to provide information such as frequency, timing and specific details of the symptoms or seizures. 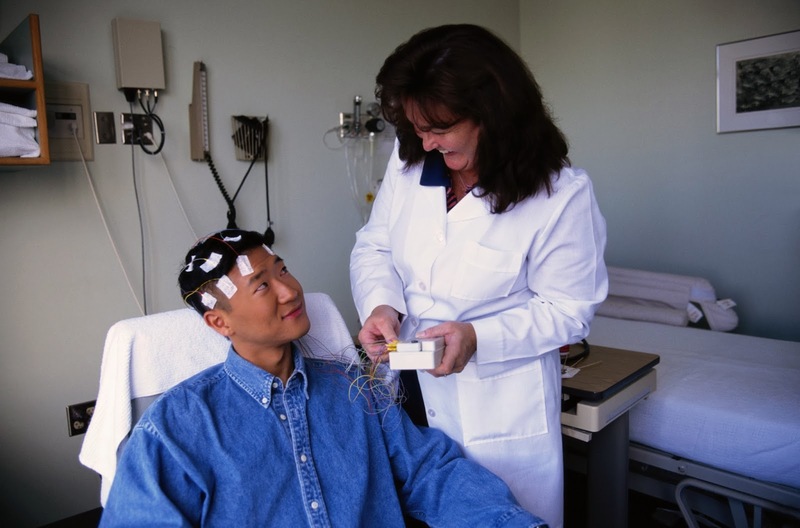 If your symptoms are indicative of seizures, you may be referred to a neurologist, who can diagnose the specific type of epilepsy and give directions for treatment, such as medications and behavior modification to consider. In need of a primary care physician or a neurologist? Visit www.gbmc.org/mydoctor or www.gbmc.org/neurology to find the one that is right for you. According to the American Diabetes Association (ADA), more than 25 million Americans (8.3 percent of the U.S. population) have diabetes, a condition that affects individuals of all ages, races and ethnic backgrounds. In recognition of the ADA’s designation of November as American Diabetes Month, we want to share the following facts and misconceptions about the disease. 1. All types of diabetes are the same. FICTION. 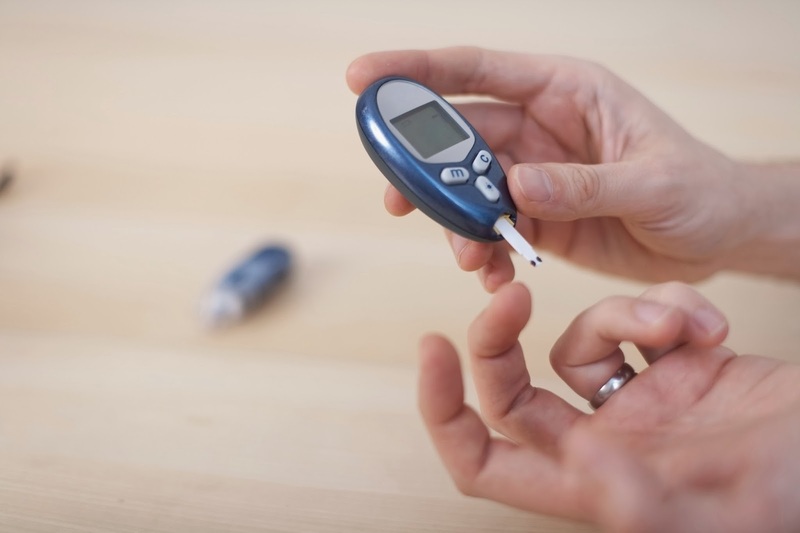 Type 1 diabetes is an autoimmune disease and occurs when the pancreas stops producing insulin. Type 1 affects approximately 5 percent of people who have diabetes. Type 2 diabetes is the most common form of diabetes and affects 90 to 95 percent of those who have diabetes. Type 2 occurs when the pancreas produces too little insulin or the body doesn’t use insulin properly. Gestational diabetes develops when pregnant women have high blood glucose levels during their pregnancy; it does not necessarily indicate diabetes will remain following delivery. 2. Diabetes may lead to other health problems. FACT. People with diabetes can develop complications with the eyes, nerves, skin, kidneys, feet and other areas. Talk with your physician and diabetes care team to learn how to manage your diabetes and help delay or prevent complications. 3. Only overweight or obese people get diabetes. FICTION. 4. Diabetes can be managed with a proper diet. FACT. The American Association of Diabetes Educators lists “healthy eating” as one of its Seven Self-Care Behaviors™ for managing diabetes. People with diabetes can eat the same foods as people who don’t have diabetes. As with any healthy diet, a good balance of protein, fat, and carbohydrates, including starches, fruits and vegetables, will help keep blood glucose levels within desired ranges. 5. People with diabetes should never consume sugar. FICTION. It is a myth that people with diabetes can never consume sugar. While it is important that someone with diabetes limits their sugar intake, there are no foods that are completely off-limits; rather, people with diabetes should be mindful of portion control when planning their meals and snacks. 6. You should seek information from a licensed/certified medical provider to learn how to properly manage your diabetes. FACT. When living with diabetes, support from others can be essential in helping you maintain healthy habits. GBMC’s Geckle Diabetes and Nutrition Center and GBMC at Hunt Valley primary care practice have skilled physicians, nurses, dietitians, and Certified Diabetes Educators® ready to provide the services you need, including individual appointments, group classes, nutrition counseling and group support sessions. To learn more about diabetes care at GBMC, visit www.gbmc.org/diabetes or www.gbmc.org/huntvalley. It’s tempting to overeat on Thanksgiving… and after Thanksgiving, too. Between the day-of festivities and all the leftovers, it can be easier than we think to pack on the pounds during the holiday season. Fortunately, there are ways to make Thanksgiving healthier but still enjoyable. 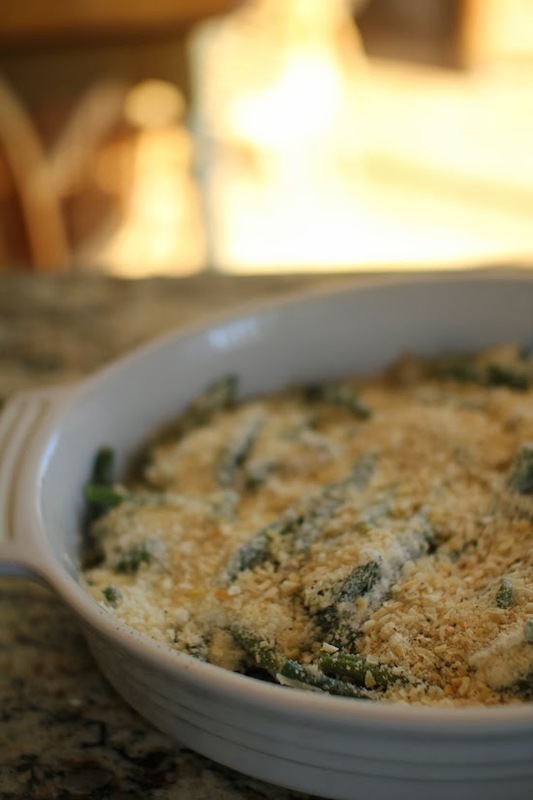 Simple ingredient substitutions can help to make dishes just as tasty and better for you. For example, one 8-ounce cup of whole milk contains about 149 calories and 8 grams of fat. Instead, swap that with the same amount of skim milk at 86 calories and none of the fat. 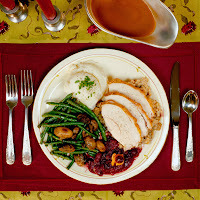 Or, eat only the white meat of your turkey with no skin rather than the dark meat with the skin left on. It’s lower in calories and fat. While it may seem like a good idea to skip breakfast and lunch on Thanksgiving Day so that you have plenty of room for a big meal, don’t give in! This sets you up for overeating. Also, try not to pack your plate full of food. Leave some space in between items so that you won’t overdo it. Make an extra effort to eat your holiday favorites mindfully – first, note how visually appealing the meal, then focus on the aromas, and finally, enjoy all of the tastes and textures. When eating mindfully, the pace of eating is slowed while the satisfaction is increased. Remember, while the holidays are notable for their delicious cuisine, emphasize the time you’re getting to spend with your loved ones. Enjoy the good company and maybe even start a family activity like going on a walk or playing flag football together to get everyone moving.